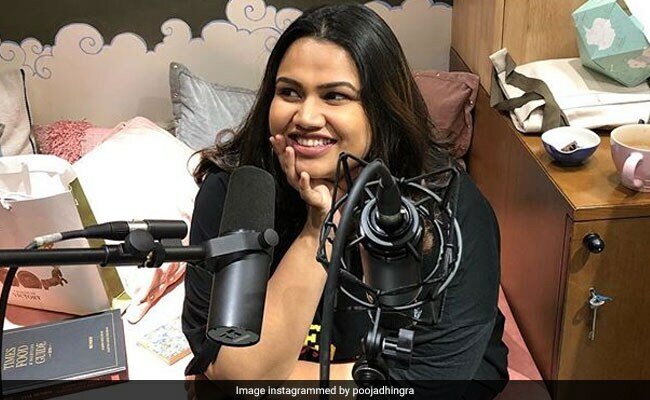 Mumbai's Le 15 Patisserie's Pooja Dhingra recently launched a podcast named NoSugarCoat and it has been topping podcast charts in the country. Pastry chef Pooja Dhingra of Le 15 Patisserie in Mumbai recently released her podcast 'NoSugarCoat' and it has been topping the podcast charts in the country. Dhingra, who is known as the Macaron Queen of India, released the very first episode of season 1 of 'NoSugarCoat' on September 10. The pastry chef, and owner of Le 15, had been teasing her fans and followers on social media about the podcast for the last few weeks. The day that the podcast debuted, Dhingra shared a list of podcasts featured on the Top Charts on Apple Music on her Instagram page and 'NoSugarCoat' occupied the top spot. In season 1 of the podcast, Dhingra will be interviewing a host of successful chefs and food writers and authors about what goes on 'behind-the-scenes' of plush restaurants and successful F&B chains and brands. The podcast can be accessed through any podcast application on both android and iOS devices. So what can you expect from season one of the food podcast? The information page about the podcast on the official website of Le 15 says that this one's going to be all about the "blood, sweat and tears of chefs, restaurants, and visionaries from the hospitality industry." On episode zero of the podcast Dhingra has revealed that she wants to break the myth of the 'cakewalk' life that many people believe she has been living and wants to reveal the real hard work that goes into building a hospitality brand from the ground up. "NoSugarCoat is a no-holds bar conversation that brings to light the stories behind restaurant walls and kitchen doors", says the website, making us believe that this one's going to skip the cheese and give aspiring chefs and restaurateurs a lot of real talk. The first and second episodes of the podcast are now out for anyone interested in knowing how things work in the F&B industry. Episode 1 features the Head Chef at Le 15 Café in Mumbai, Chef Pablo Naranjo Agular. Pooja Dhingra is soon going to launch another café under the Le 15 brand called Le 15 Petit Café.